FEEL the TEAL at Home Again & Lumina Gem! We are FEELING THE TEAL! A BEAUTIFUL vignette…filled with tons of coastal color! lovely skirted accent chair in nubby beige, $295. get it here for $695! 37.5″W Come get your TEAL on! LazyBoy club chair retails for $1,149, our price, $445. Four drawer bedside table is sold, sorry! a STEAL at just $495! Chair is 40×40. Excellent condition. Just in…serene marsh scene, $145. $4,000, our price $1,295! 91×91 THIS WON’T LAST. and retails for over $900…snag it for $425! How cool are these nautilus lamps with rope detail! Currently drooling over this gray chair with ivory piping. our price, $795! What a deal! THIS WON’T LAST. Phone orders accepted, 910 679 4302. More TEAL in this gorgeous coastal abstract! Large and in-charge! Snag this COZY sectional for only $1,295! Rattan side table with marble inlay, $225. A great set of accent chairs in spicy rust-red, $395 each! Koi art $145, orange accent chair $295. Another GREAT consignment score…this tweed chair and ottoman by Norwalk retails over $1,200 and is in EXCELLENT condition. Another great deal…tufted chair with casters $225! JUST IN! Nice black barstools just $125 each!. and is also the birthstone for MARCH. ALL AQUA JEWELRY 20% to 50% OFF this month. 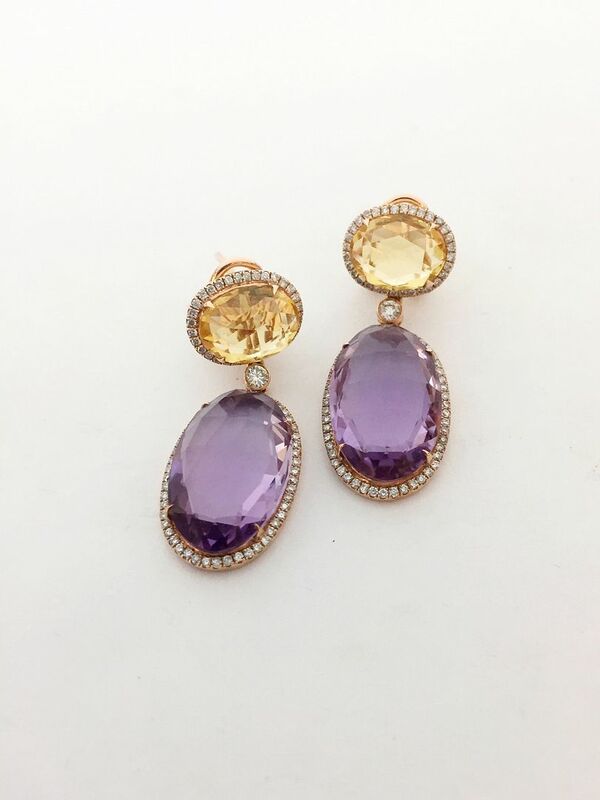 these would be a wonderful gift for a bride-to-be. 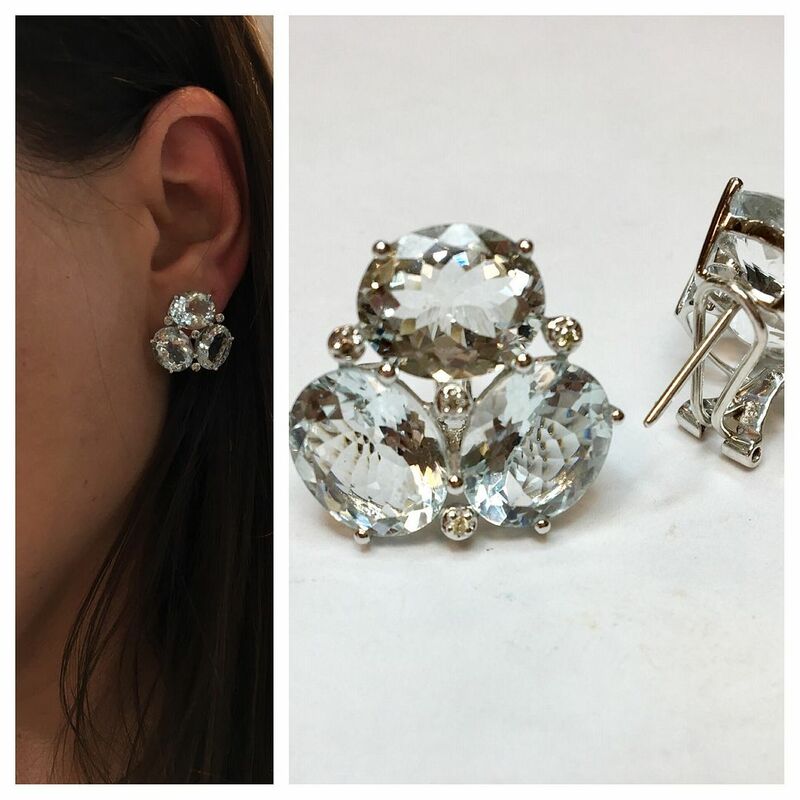 8ctw aquamarine with diamonds in 18kw gold omega back earrings. Sale price $795 this month only. 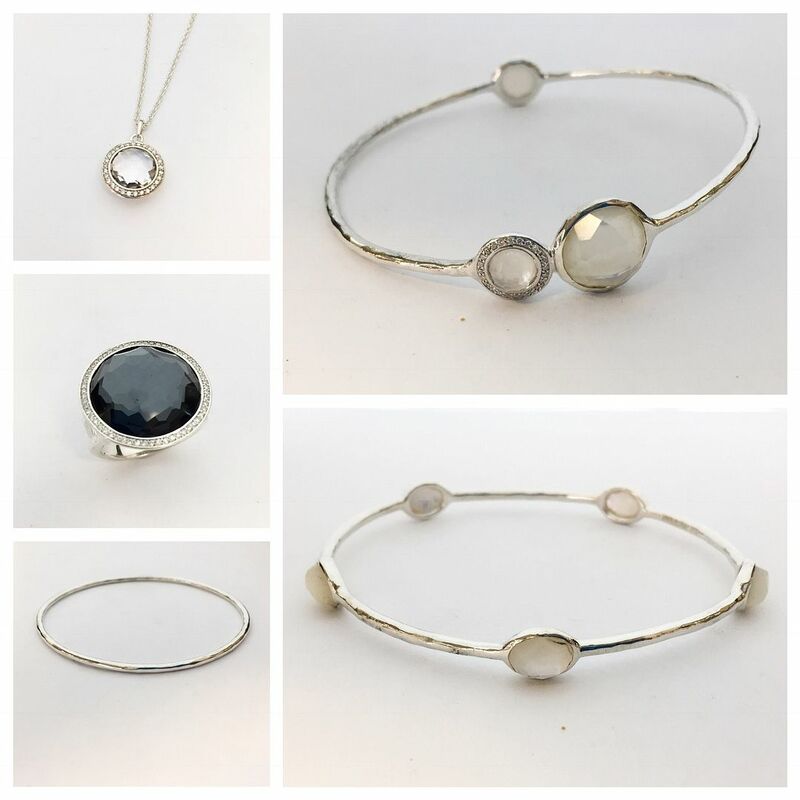 Ippolita designer pieces on consignment. 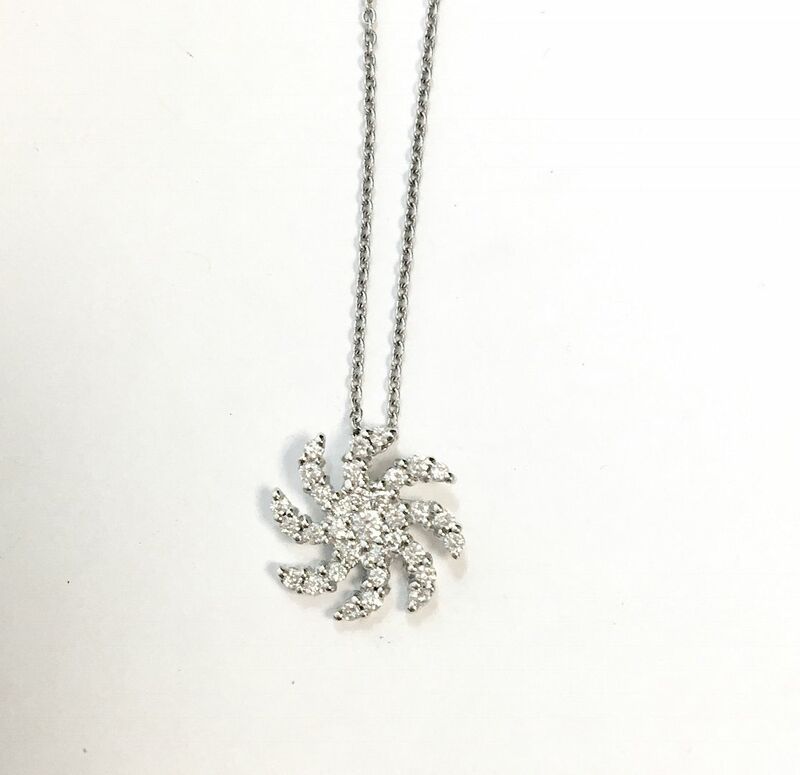 Quartz and diamond necklace $395. Hematite and diamond ring $695. 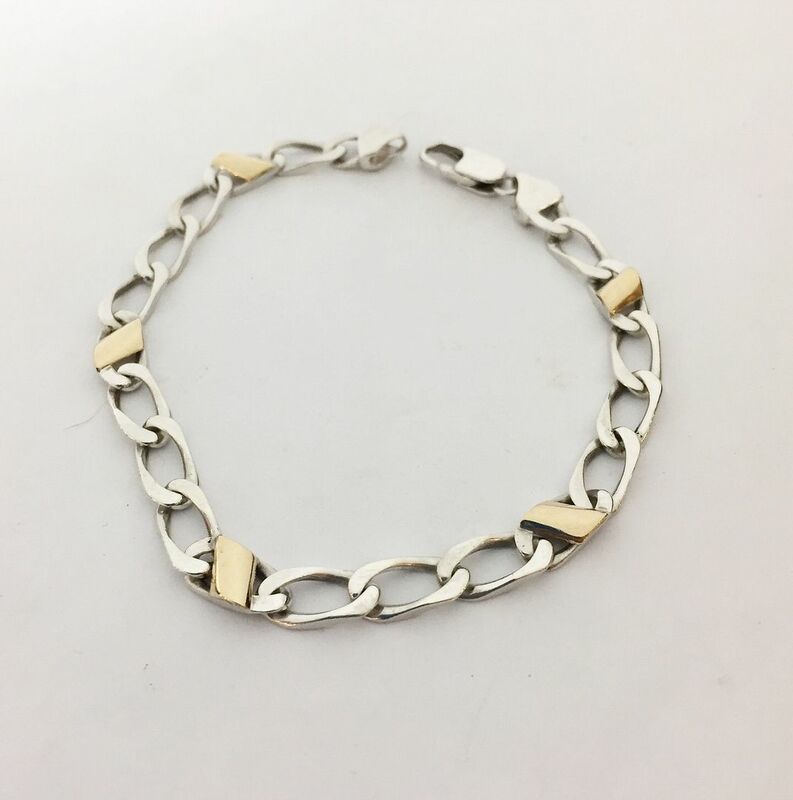 Plain bangle $175. Right side: Bangle with mother of pearl and diamonds $395. Cassis designer pieces on consignment. 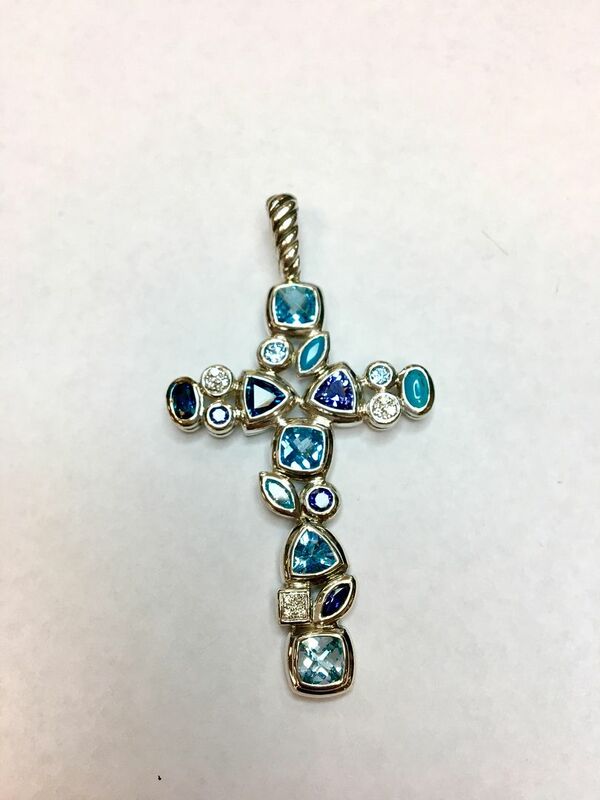 .77ctw diamond cross in 18ky gold, 18 inches. 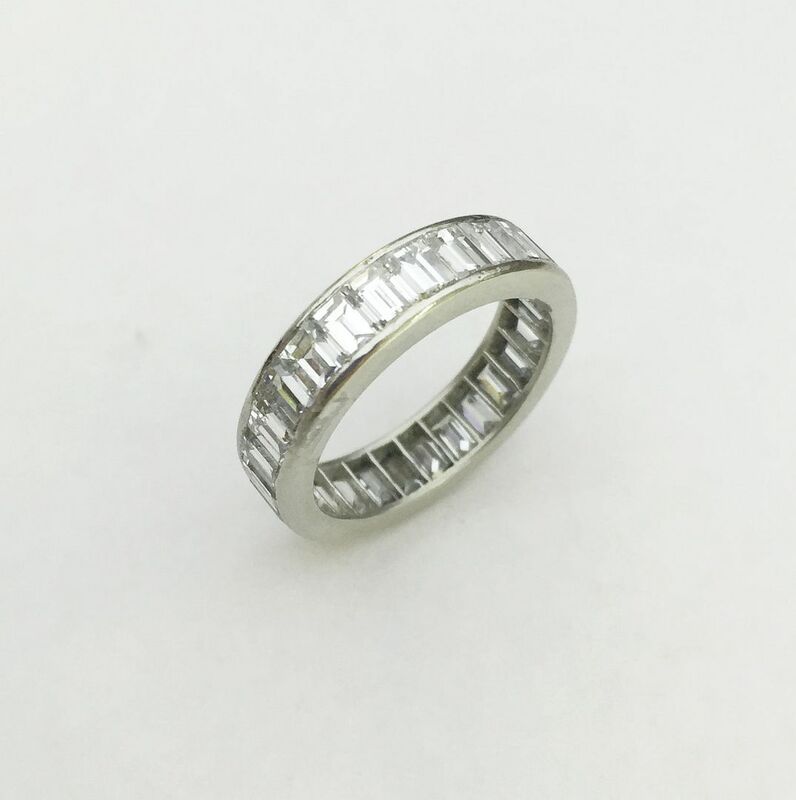 Diamond 18kw gold rings. $1,015. 50% off of retail. Only $1,395. 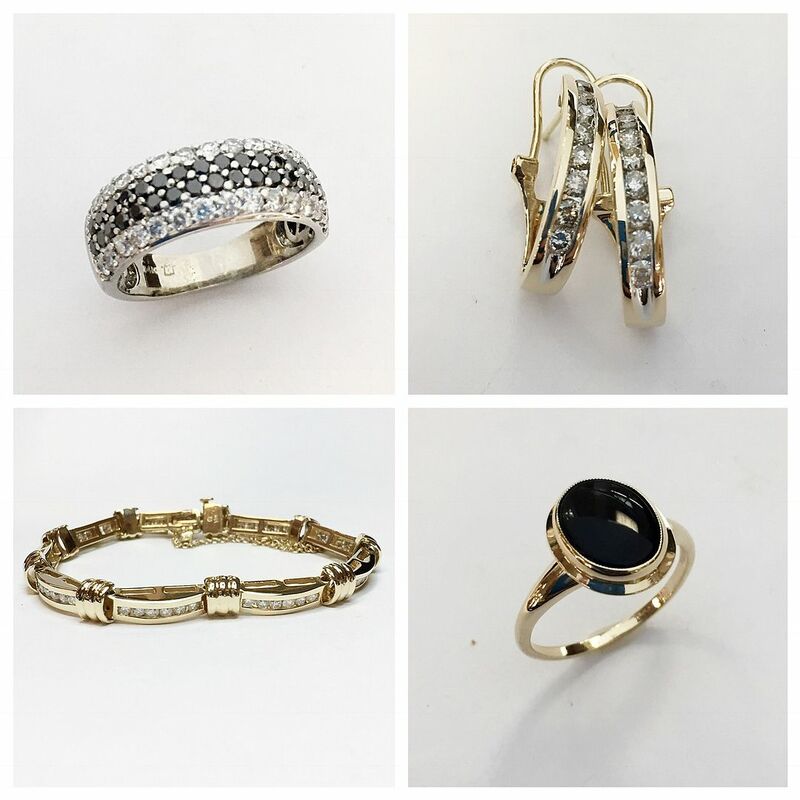 These items JUST IN on consignment. YAY! Black diamond and white diamond 4 row band $795. .50ctw channel set diamond 14ky gold omega back earrings $495. 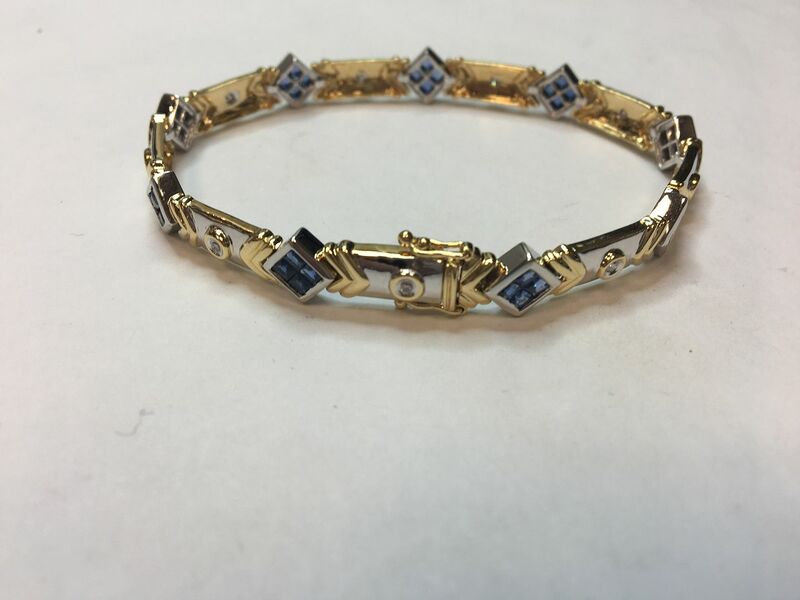 1ctw diamond channel set 14ky gold bracelet with safety chain, 6.75 inches $995. Onyx oval set into 14ky gold $125. will get you ready for spring and the garden party! $95 each. 1.50ctw sapphire accented by diamonds in each two-tone link in 14kw gold with safety latches, $1,495. EVERY DAY and will cherish for generations to come! 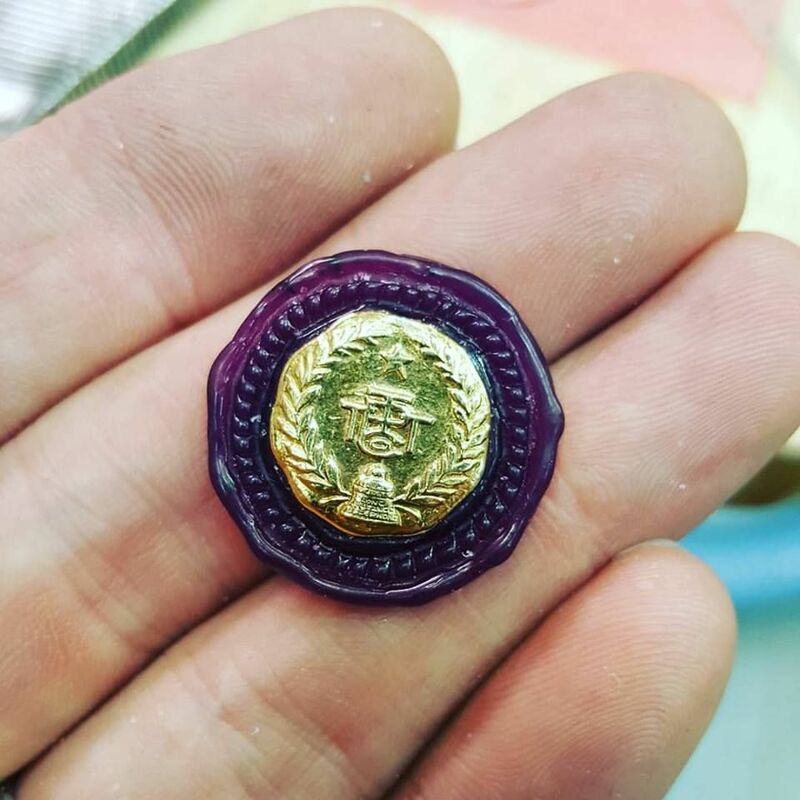 Here is a wax we showed you last week. Viola…all done in-house by the talented Brad and Casey duo. 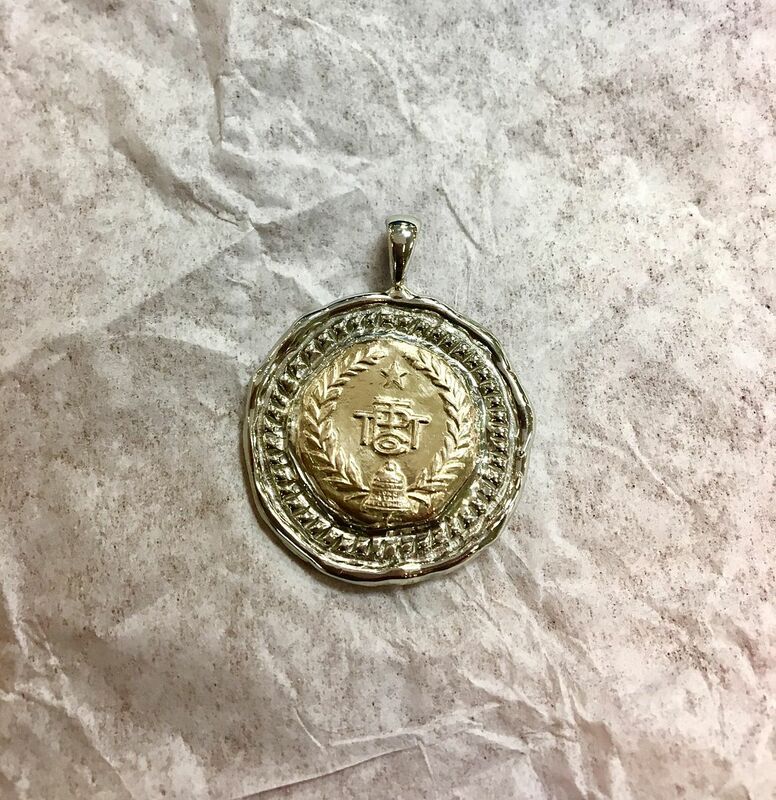 piece of jewelry. LOVE THIS! 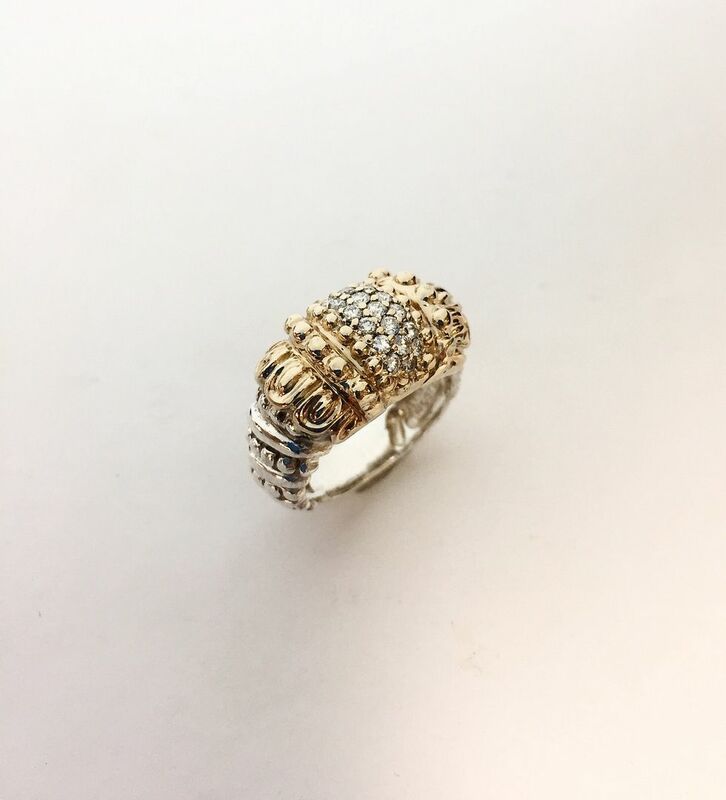 We have a 4 step process to ensure that the items we offer you are authentic designer pieces with real metals, and gemstones. 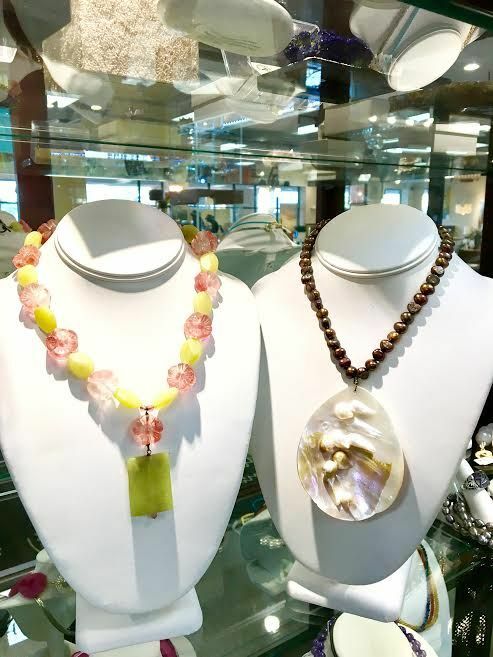 Buy with confidence at Lumina Gem. 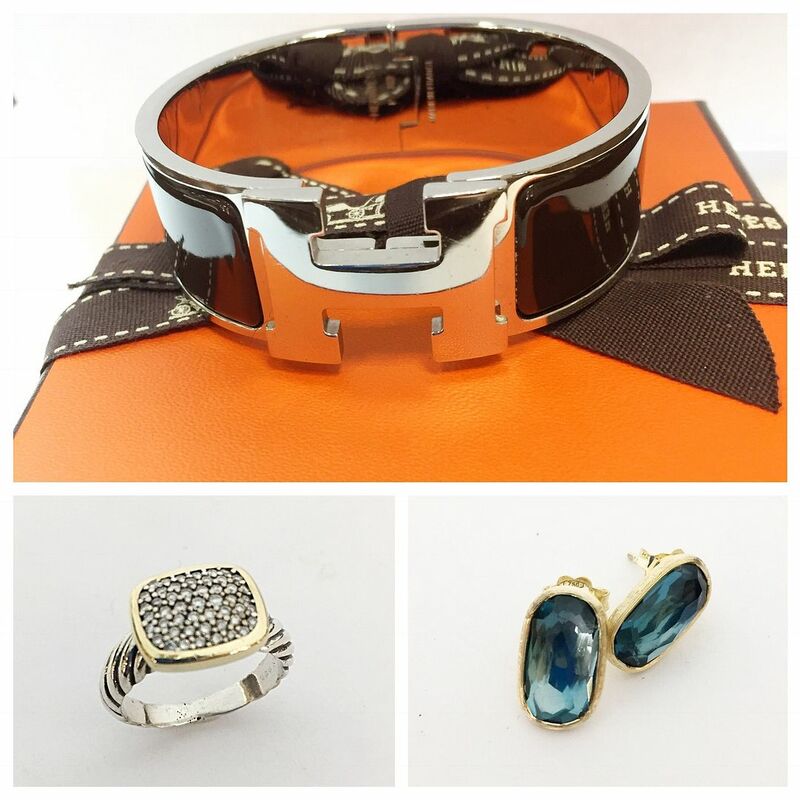 Hermes bracelet with original box $435. comes with pouch and cloth $695. 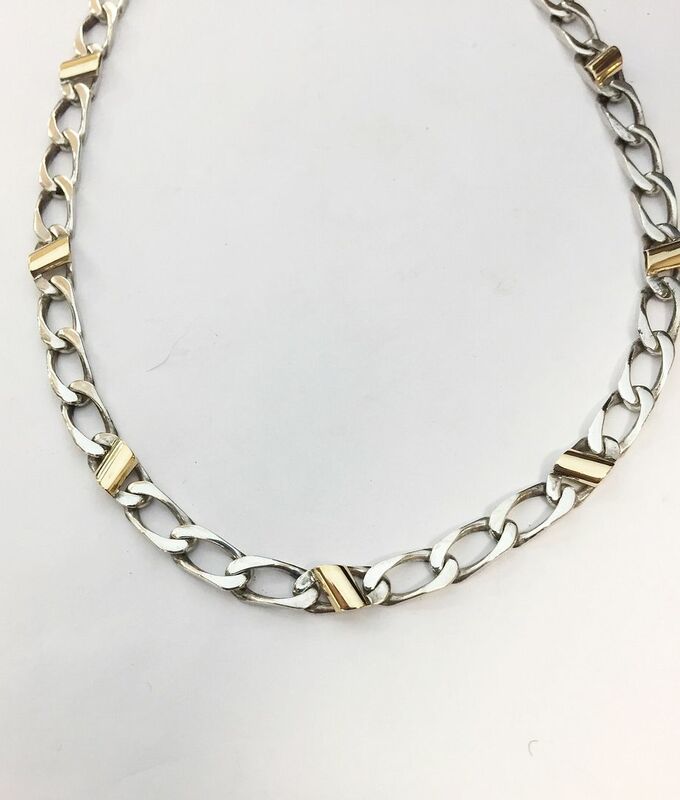 figaro style with link with 18ky gold accents $295. 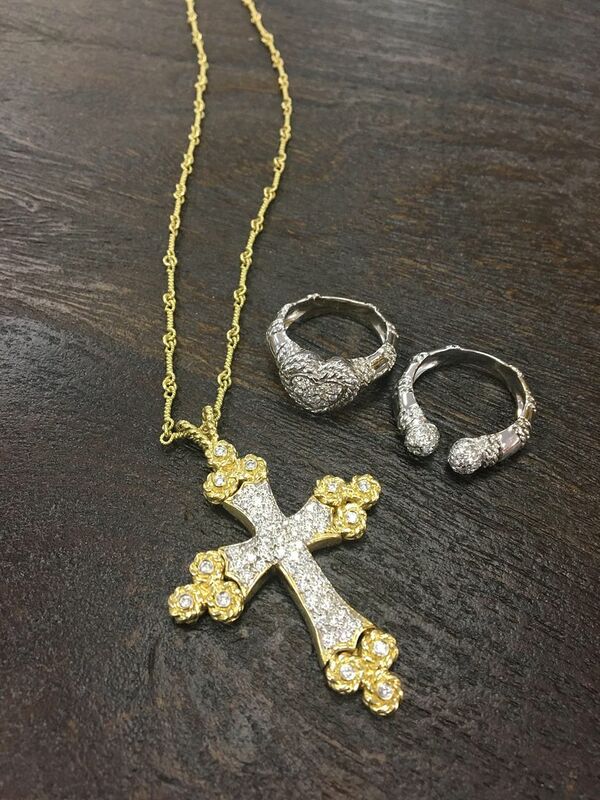 Get the matching 16 inch necklace for only $595. Comes with pouch and box. Buy both items together and we will give you 10% off this weekend only! 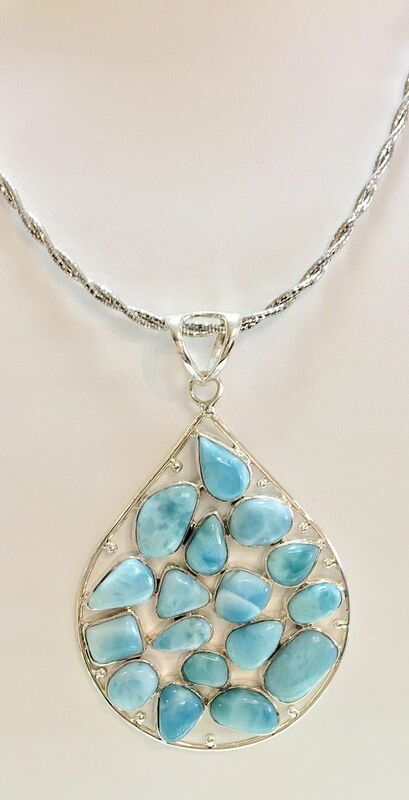 Larimar pendant in sterling silver $345, twisted chain is 18 inches and only $50. New pieces, never worn. 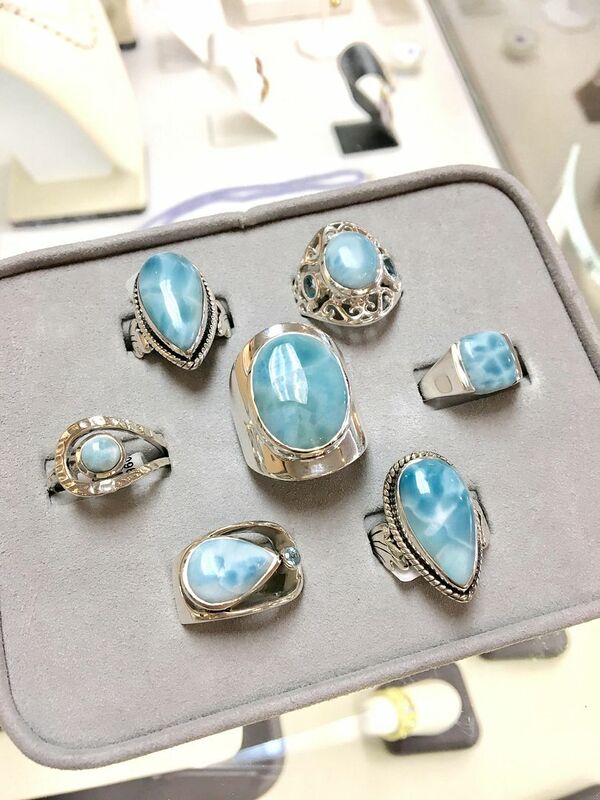 Larimar rings in sterling silver. Prices ranging from $45 to $165. Aquamarine faceted 18-20 inch necklace. Sale price this month $75. 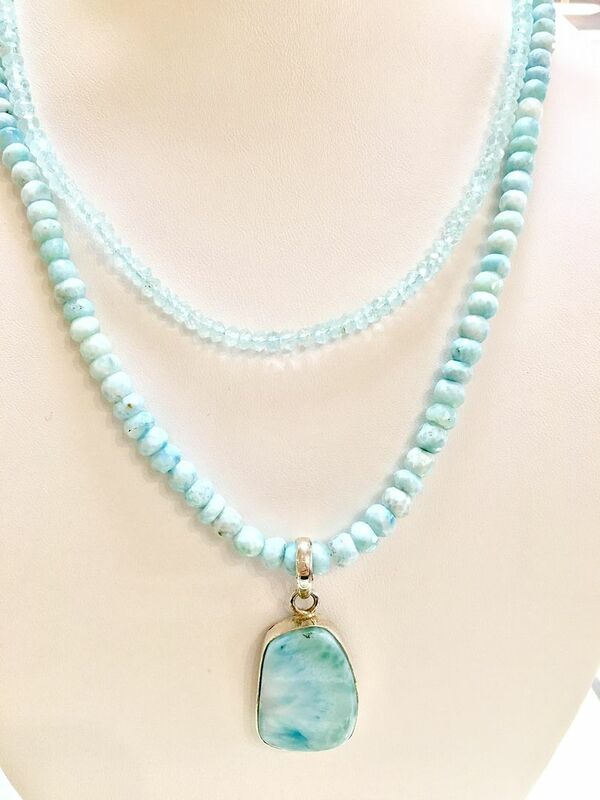 Larimar faceted 18-20 inch necklace $345. Larimar pendant in sterling silver $135. Brand new! 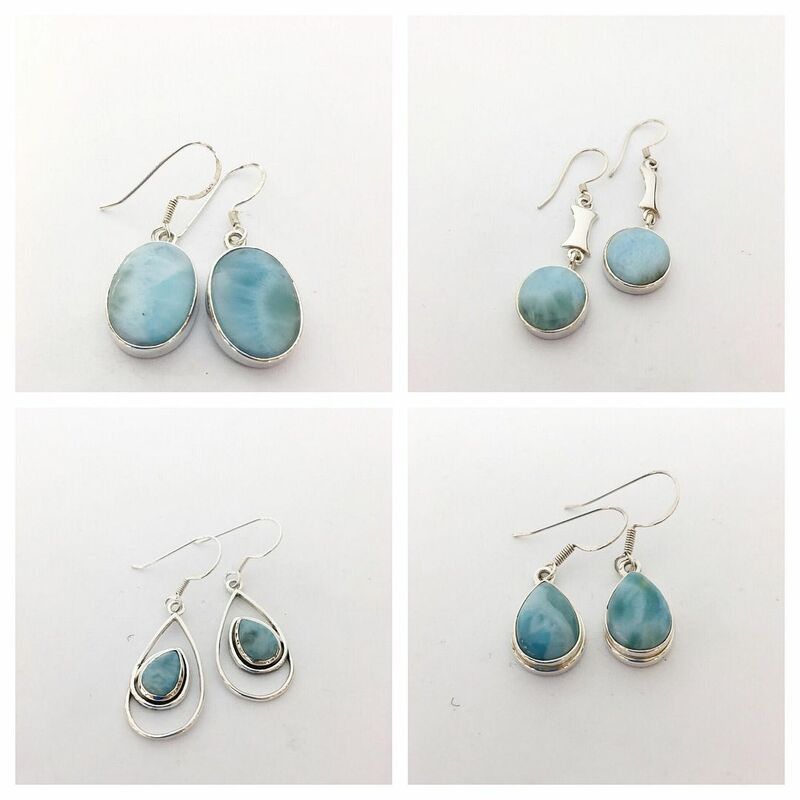 Larimar earrings in sterling silver. Prices ranging $65 to $105. 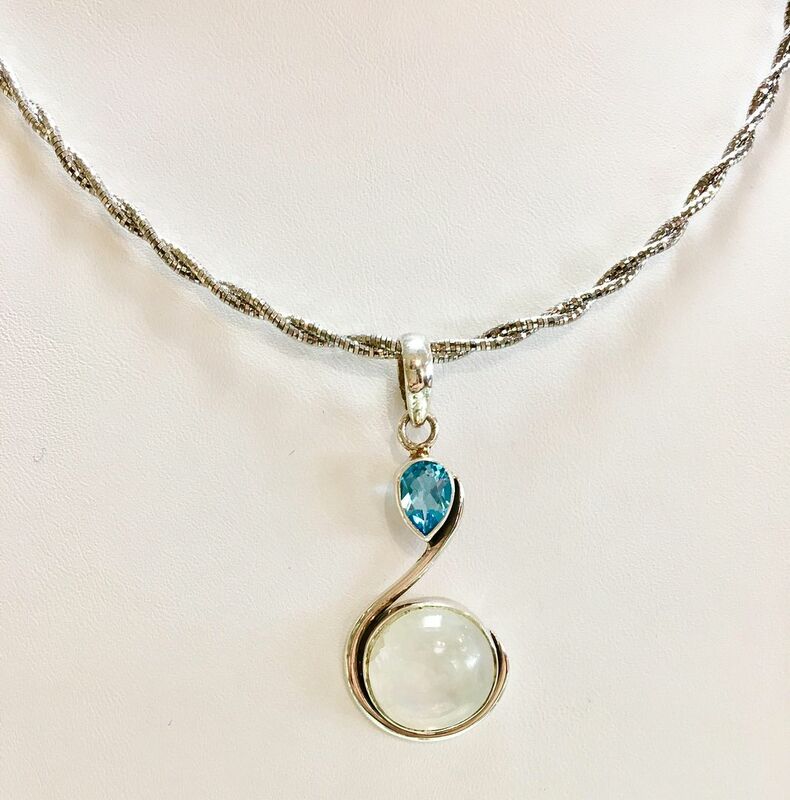 Moonstone and blue topaz pendant in sterling silver $85. WILL FLOW at the Garden Party this year. with diamonds in between gorgeous oval faceted with diamonds in 14k rose gold $2,675. Brand new. 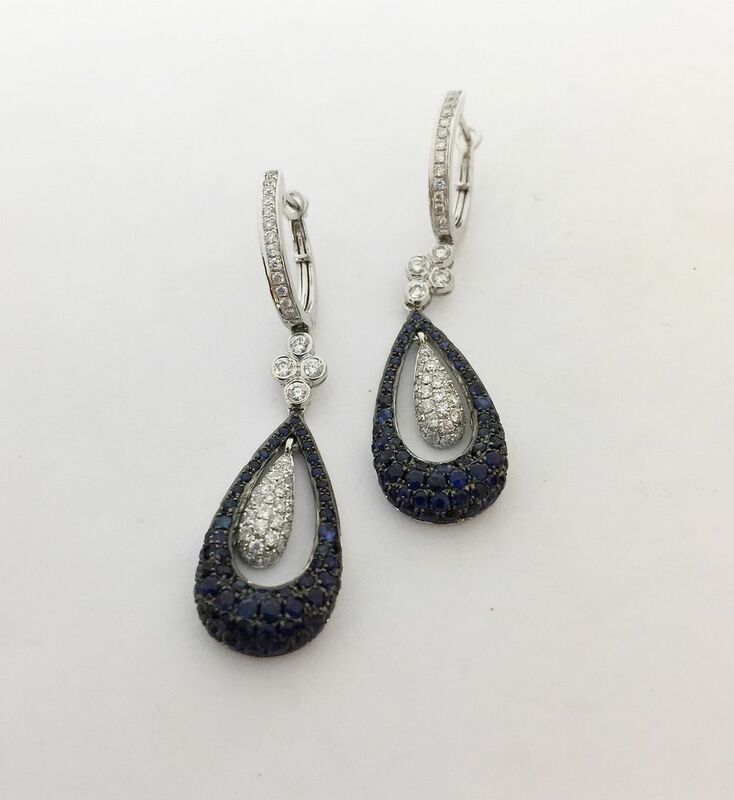 Sapphires and diamond never looked so good together, this gorgeous combination of jewels set into a 14kw gold dangle earring are $2,975. and palladium, size 6.5. $4,195. 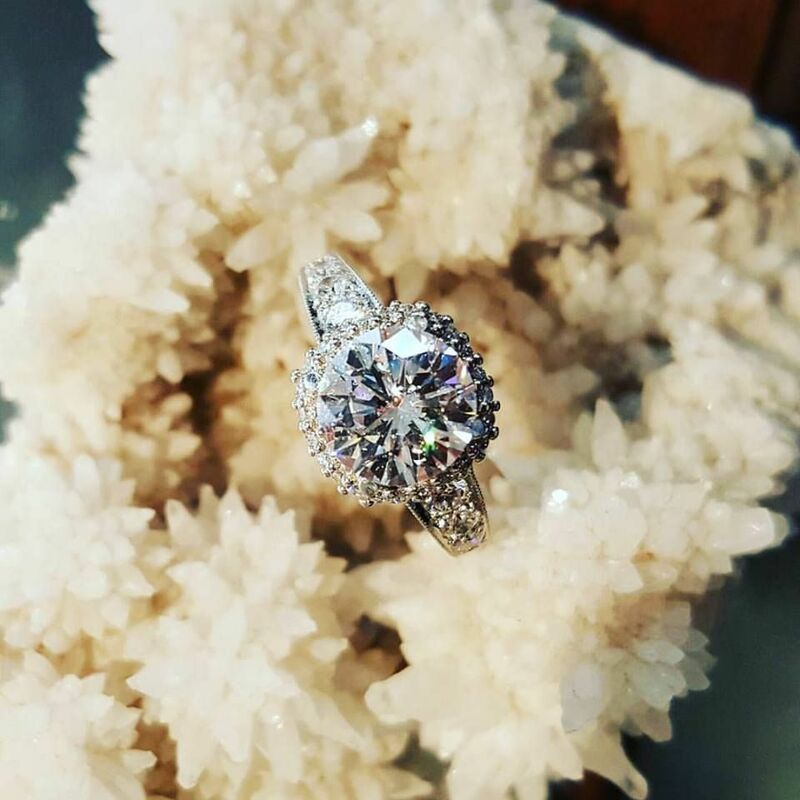 The WOWZA…2.25ct D, SI2 round brilliant diamond in a new platinum and diamond Tacori setting. 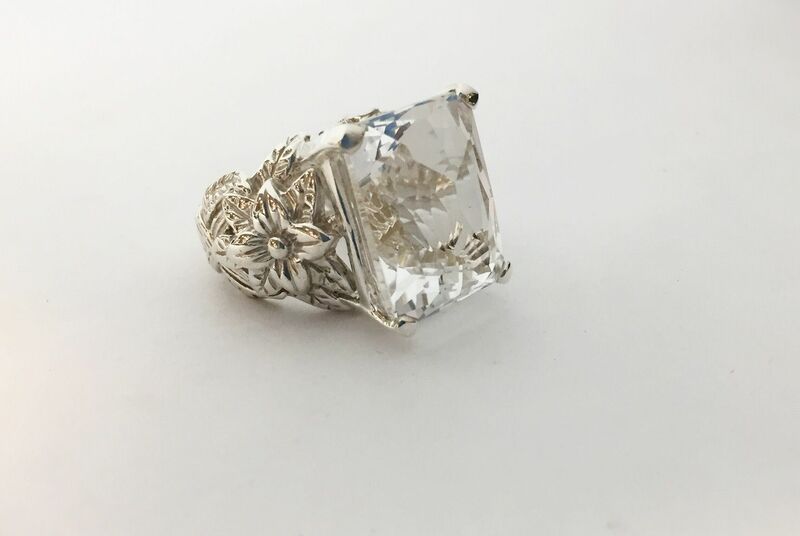 3.11 carats total. Diamond is $19,870. Tacori setting in platinum, it retails for $7,300, wholesale closeout buy at $4,295.